If everything goes well you’ll get a second call, this time maybe from some Data Scientist that work in the company. This is the second phone screening. They will ask you more about you, your experience and also some technical questions. This is more likely to see if the things you said in your resume are true. (Optional) Data science task. They’ll send you a dataset and ask you several questions to see your abilities as a data scientist. Be really clear here. Write good quality code. 3. Code defensively — always think about what could go wrong! 9. Follow the rigorous review process, even when you don’t want to! Whiteboard programming. This maybe the harderst and more intimidating part of any process. Programming in a blank space. Just you and a piece of paper. Practice this a lot. You don’t need to write the code here perfectly, they want to see you thinking and getting into the solution. Talk and describe your thinking process, don’t be there quite. 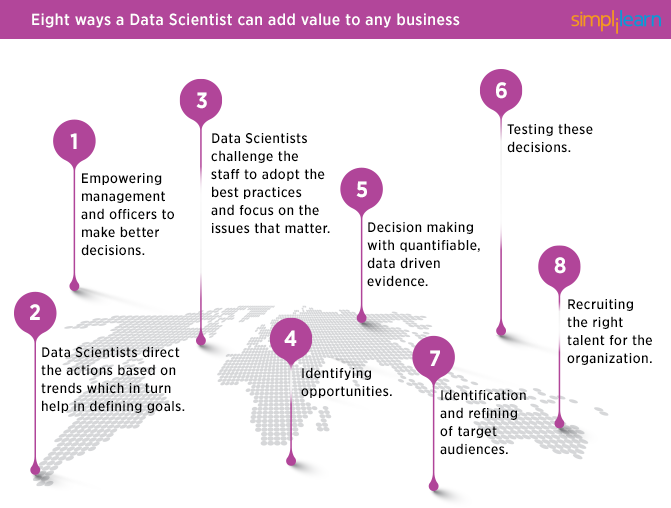 A Data Scientist is a person in charge of analyzing business problems and give a structured solution starting by converting this problem into a valid and complete question , then using programming and computational toolsdevelop codes that clean, prepare and analyze the data to then create modelsand answer the initial question. … leveraging a data science team appropriately requires a certain data maturity and infrastructure in place. You need some basic volume of events, and historical data for a data science team to provide meaningful insights on the future. Ideally your business operates on a model with low latency in signal and high signal to noise ratio. Remember this words: A bad data scientist is way worse than don’t have a data scientist at all. There’s lot of people wanting a job in Data Science, most of them are really intelligent people, wanting to help and have a path in this area, but be careful before hiring one. I recommend that you search for data science descriptions in the best companies out there, learn about their process, and learn from them. Iron out nuances to distinguish which types of data scientists will be the best fit for the business’ needs. 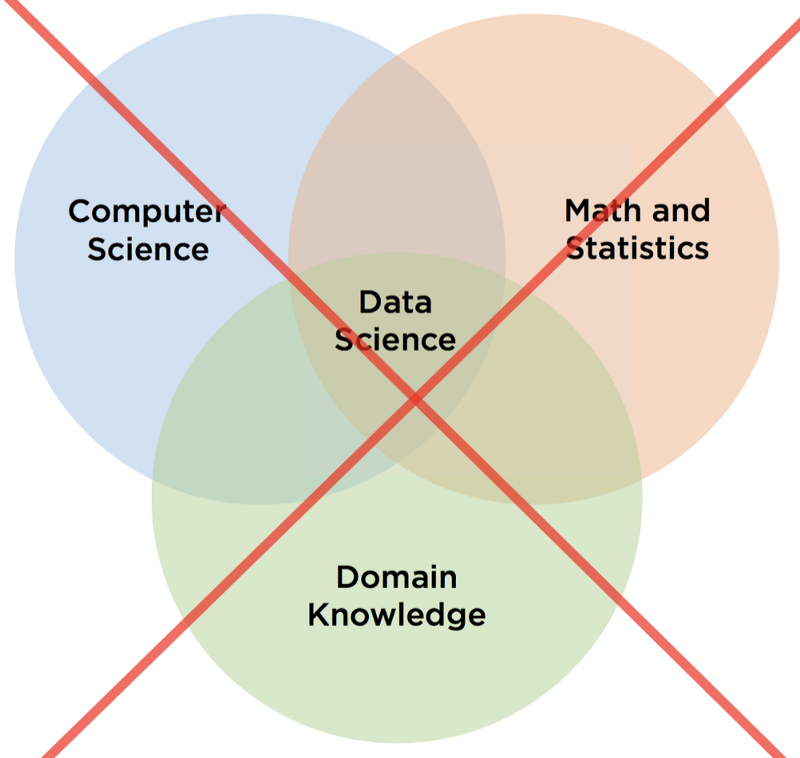 Hone in on the skillset and experience of the type of data scientist you’re looking for. Aspiring data scientists want 1 thing from the companies that don’t hire them: an explanation. In many cases their only response is silence. How’s an aspiring data scientist supposed to know what to work on, if companies won’t tell them? Aspiring data scientists aren’t psychics, but they are hardworking & willing to learn. They’ll rise to the challenge if companies start telling them where the bar is. 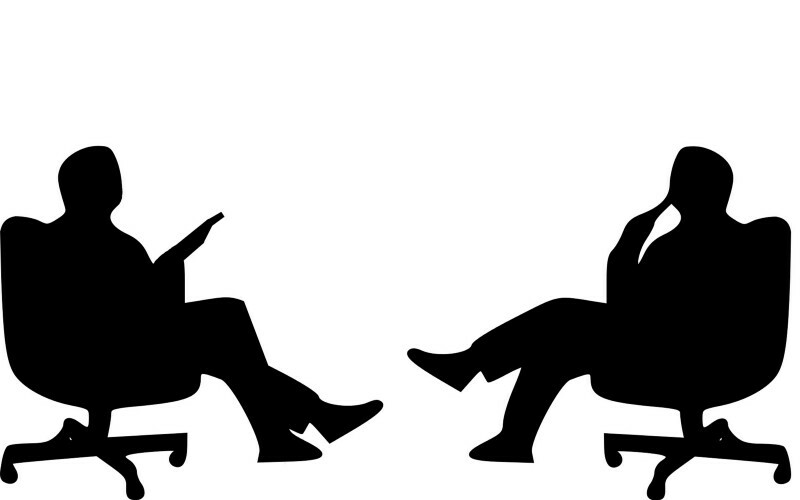 Peel back the hiring process at most companies & you’ll find they can’t objectively answer the question, “Why didn’t you interview or hire this person?” I teach clients how much they can learn by examining the candidates they reject as closely as they examine the people they hire. There’s value to both candidates & employers in the answer to that question. 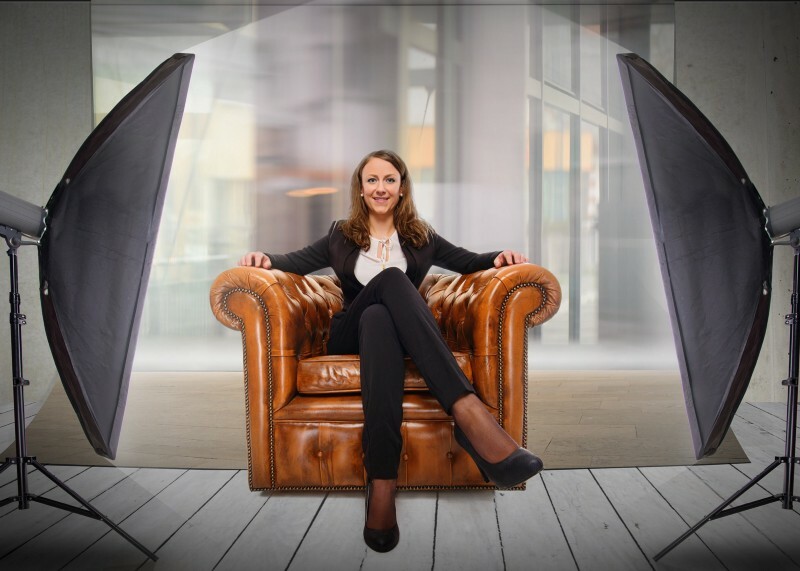 Companies have an opportunity to improve their hiring process. Candidates get the opportunity to be better prepared for their next application with the company. Beyond the value, it’s the decent thing to do for someone who took the time to apply. Hiring is all about making connections. Silence shows the company doesn’t care enough to treat people the right way. That’s something candidates remember. I hope this post will help everyone in the Data Science world. Let’s join together and help each other transform the world into a better place. Remember to have fun and that there’s much more in life than work, I love what I do, but take time for your family and friends, be happy and be kind to one another.